Is your scale weighing you down? I can’t tell you how many times I’ve watched people (and ladies, it’s usually us) step on the scale at the gym and see their face overcome with defeat and shame. I want to run over to them and tell them to focus instead on inches lost instead of pounds; on strength gained instead of lost; and on energy and happiness that comes from exercise instead of the lethargy and depression that comes from being sedentary. Has this ever happened to you: You step on the scale one week to see you’ve lost 2 pounds (hooray! )…only to weigh in the next week and realize you’ve gained them both back (ugh)? 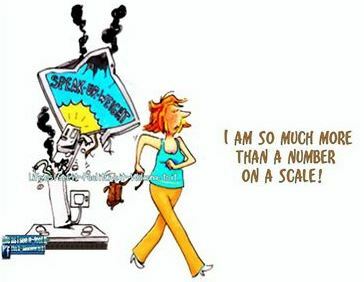 It happens to the best of us, but the reality is that the number on the scale doesn’t mean a whole lot about your physical fitness, and it doesn’t mean jack SQUAT about your self worth. The worst is when I hear someone say something like, “I gained 2 pounds since yesterday! What’s wrong with me? ?” Listen, it takes an EXCESS 3500 calories to gain one pound. So unless you ate an additional 7000 calories on top of what you normally ate, you didn’t truly gain a pound. I mean, I could weigh myself…step off the scale and drink a 16 oz water (zero calories mind you)…and step right back on that same scale and weigh one pound more. Would you believe I “gained a pound” right before your eyes in less than 5 minutes? Yeah, I thought so. I can tell you from my own past experience that when being overly focused on weight and the number on that scale, I enjoyed working out less and actually saw less progress! Now, on the rare occasions that I weigh myself just to check in, I actually mildly panic if the number dips because I’m like, “oh no!! I better not be losing muscle! 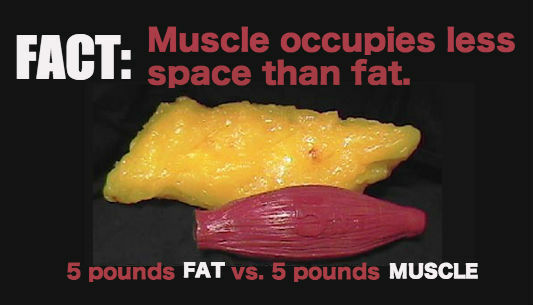 !” Plus, did you know a pound of muscle takes up far LESS SPACE than a pound of fat. What does that mean? You could be getting smaller and tighter and not weigh an ounce less! I know, right? Don’t you feel enlightened? Do yourself a favor…break up with your scale for a while and instead, focus on how you feel. How’s your energy level? Do you feel challenged with your physical activity level? Are you eating enough? How are your clothes fitting? Do you feel happy? 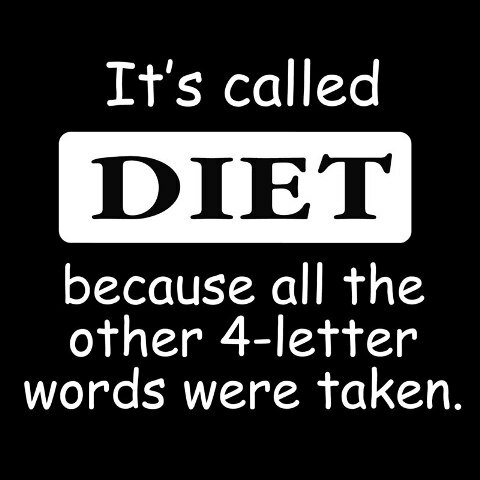 Why Has “Diet” Become a “Four-Letter” Word? If we look at the primary definition of the word diet, it simply means- food (sidebar: as you can see, I love Wikipedia). But with today’s focus on weight loss, most people think of a diet as a four-letter word…as a temporary/fad plan someone goes on to lose weight. These “diets” will have a certain gimmick or theme (Atkins, South Beach, etc), and are centered around temporary deprivation as a means of achieving weight loss. The main (and obvious) problem with these “diets” is that many simply don’t work long-term because people find them unrealistic, too restrictive, too costly, too complicated, or too inconvenient to maintain. 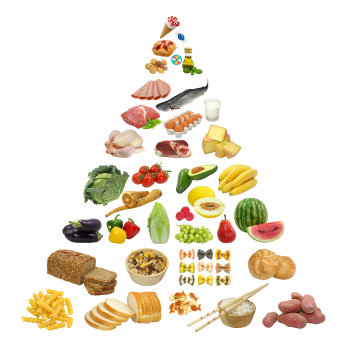 Most importantly, restrictive dieting (too little calories or inadequate balance of carbs, fats, and proteins) messes with your nervous, endocrine (hormones), digestive, and musculoskelatal systems. Furthermore, with regard to caloric restriction, it’s a fine line. Yes, you want to burn more than you consume, but consume to little and your body thinks it’s starving and slows your metabolism to try to conserve energy. Take it from someone who has been there, done that…temporary weight loss from a starvation/overly restrictive diet isn’t worth it. You’ll wreck your metabolism and lose lean muscle mass instead of fat. So I’m going to tell you what you’ve heard many times before: What we need to do is reconsider the way we think about food. Rather than thinking we should temporarily go on some fad “diet,” we should be thinking about making changes that we can realistically achieve and sustain for a lifetime. Just eat food. Eat real food, be active, and live your life. Pay attention to how your body feels when you eat certain foods…if you tune into it, you will realize that you have an innate intelligence about the inner workings of your anatomy. Eat what makes you feel energetic and alive. But forget all the dieting and weight loss nonsense. Eat for health and nutrition the majority of the time, but if it’s your birthday and you want some cake, eat some damn cake and enjoy it! Each one of us is unique, different and truly beautiful in every shape, age, ethnicity, and any other form. Focus on health and a balanced lifestyle, not weight, and treat your body with the love and respect it deserves.